Discussion on things like e-commerce market, who dominates, and Amazon Great Indian Sale. 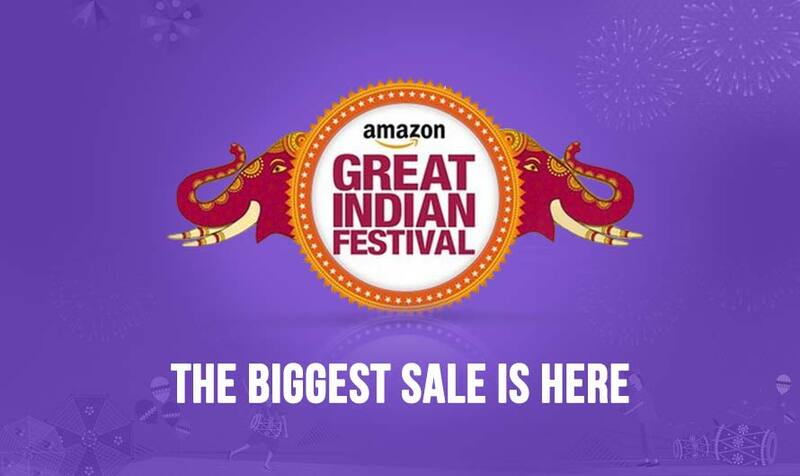 E-commerce giant Amazon is coming back with their Amazon Great Indian Sale. And we are pretty sure that it is going to sweep out everything, thanks to its offers and the way Amazon reaches out to its customers. While we’re at that, let’s talk what the giant is offering on its sale this time. How is Amazon able to aim for the bull’s eye every time? How have the shopping trends changed lately? And how Flipkart is running behind Amazon, looking for a lead! If there’s one thing that we Indians love, that’s discount. What a wonderful word that is! More than a word, it’s music to our ears. But before we enjoy that symphony with all our heart, many retailers have reduced their discount volumes these days! Know why? Well, it’s the government’s rule. Where the world is going online, offline retailers are helpless. Who would one go out and shop these days when you can have everything right at your doorstep with a few finger taps? That’s what has been hurting the retail store owners, which resulted in protests. And the govt ordered all online stores to stop giving direct discounts. Well, coming back to the topic, this is the reason why e-commerce companies have stopped giving out discounts but following a different approach; which is Sales!!! These sales are taking over the online market, where the companies offer sound discounts, amazing deals, and even make a bachelor buy strollers or bottle feeders! 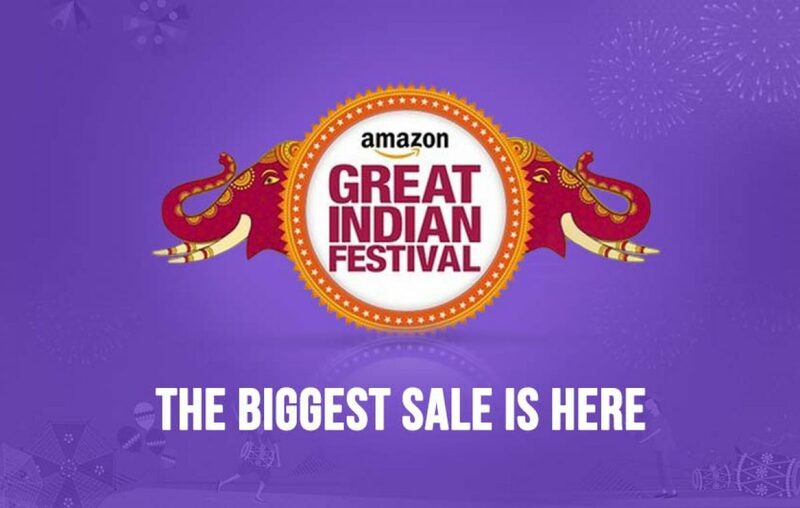 This year’s Amazon Great Indian Sale not only gives out many offers but a lot more cashbacks, lucky draws, and app-only discounts. > Up to 50% off on Electronics. Read again! It’s basically a minimum 40% off on almost everything. Oh! You’re a book reader, Jahapana? Why don’t you buy that Kindle Paperwhite you have been planning to since a long time? It’s now INR 2000 less. In addition to that, there’s a chance you can win INR 1 lakh every hour when you pay through Amazon Pay. And the app’s Jackpot game just adds to the grand festival. Amazon holds over 35% off the Indian e-commerce traffic. Whereas, Flipkart follows with 20% and Snapdeal grips on with 10%. The local markets like the latter two are struggling to lead in their home soil where a foreign player is hitting home runs. How is Amazon able to do that? Marketing strategy! In every problem or if you like to call it a game, there’s a gist/clue which you have to find and play accordingly. And Amazon has been doing that with flying colors. > Men in India shop online about 3 times more than women. It’s a bare truth, even if you can’t believe! While women run to offline stores more often, men, with laziness running in their every nerve, sit back and do online shopping. > Most of the online purchases, over 60% of them, undergo during business hours. Yes, during 9-5. This proves the fact that online shopping has become a regular chore. > And lastly, Cash On Delivery is the most preferred option in Indian online shopping world. Why? Because we Indians love it. In no one, we trust! And we like to pay only after we see the product! Us little snowflakes! So, these three facts, or secrets until they were revealed, have been followed by Amazon. How? > According to the content experts, men like banners with darker backgrounds with a little text and price range mentioned on it. And Amazon has been doing exactly that! > Also, Amazon mostly schedules their promotions during the working hours. > And Amazon and Flipkart almost equally allow Cash On Delivery for their products. Amazon’s marketing mix, SWOT analysis, and creative taglines drive through masses easily; these are the things that have been making Amazon stand on top! And where does Flipkart stand? Are they ready to loot your pockets? There’s an inarguable closing gap between Amazon and Flipkart. But when compared, Amazon leads with almost 35% of the Indian online shopping traffic. And the main reason is, Amazon’s desktop site. And the stats show that nearly 36% of the overall traffic comes from the desktop. So, if you can do the math, Amazon is being able to lead the market majorly with their desktop site. Whereas, Flipkart wins the app traffic without hesitation. It is quite surprising to know that 1/3rd of Indian Android users have the Flipkart app in their phones. Amazon stands at 2nd with 20%, followed by Snapdeal and Myntra with 10% each. How did Flipkart do that? Well, back in 2014, it restricted users from using their sites on the mobile web, which led them to download the app without a choice. So, that’s that. But again back in 2015, they have rolled over their mobile site. But yes, they have stored their stack of food before winter. And Flipkart has been on a roller coaster ride with their sales. With their Big Billion Day Sale failing twice back to back, they continue to have problems with delivering products and having issues with the local vendors. But now they’re coming back with their Big 10 Sale, celebrating their 10th year in the market. 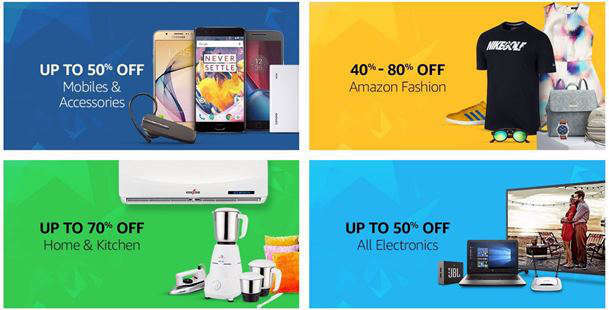 With both Amazon Great Indian Sale (starting from 11th May) and Flipkart’s Big 10 Sale (starts from 14th May) coming back to back, we have to wait and see how this round of bout goes. Why Xiaomi Redmi 5A is the best phone under 5,000?